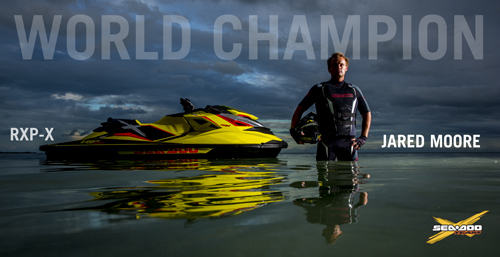 California offers Sea-Doo enthusiasts a wide variety of boating adventures! From The San Francisco Bay in Northern California, centrally located Los Angeles to the southernmost tip in San Diego, there are climates, waters and different boating styles available for even the most discriminating boater. From the Golden Gate Bridge to Fisherman’s Wharf, San Francisco has something for everyone! San Francisco offers boaters the opportunity to experience many of the top tourist activities by boat! Sailboats abound in San Francisco and there are plenty of marinas and yacht clubs available that have guest docks for your Sea-Doo boats. The city has four marina’s where you can reserve a berth as a visitor. If you are a member of a yacht club with reciprocal privileges you may be able to use the guest docks at St. Francis, Golden Gate and South Beach Yacht Clubs. There are some centrally located public marinas: Pier 39 Marina, South Beach Marina, San Francisco Marina Yacht Harbor. For a full listing of public guest docks visit BoatingSF.com. The waters surrounding San Francisco can be treacherous for boater unfamiliar with the narrow channels and turbulent waters. We recommend that boaters headed to the San Francisco waters conduct thorough research prior to heading to the Bay area. The State of California Department of Boating Services has produced an overview guide that is recommended reading for anyone heading to San Francisco by boat. The Sacramento River is located near San Francisco and feeds into an arm of the San Francisco Bay. The Sacramento Delta is a endless network of rivers, tributaries and channels that offer boaters an incredible time on the water. You can cruise for days exploring the islands, fishing, swimming, sailing or enjoying the scenery and the sunshine. Three hours north of San Francisco, in Redding, Sea-Doo boat and PWC enthusiasts will enjoy Lake Shasta, a 35-mile long lake with almost 370 miles of shoreline. Lake Shasta is formed by the Sacramento, McCloud, Squaw and Pit Rivers and is held back by the massive Shasta Dam, the second-largest dam in the US. Lake Shasta is an extremely popular location for houseboating, powerboating and especially wakeboarding. The surrounding cities of Alameda, Berkeley, San Mateo, Yosemite and many other cities within 100-250 miles of San Francisco offer boating and Sea-Doo opportunities for the northern California boat enthusiast. Southern California, known for ‘bikinis and babes’ is almost as well known for its endless miles of beach, water and spectacular locations for boating and PWC riding. 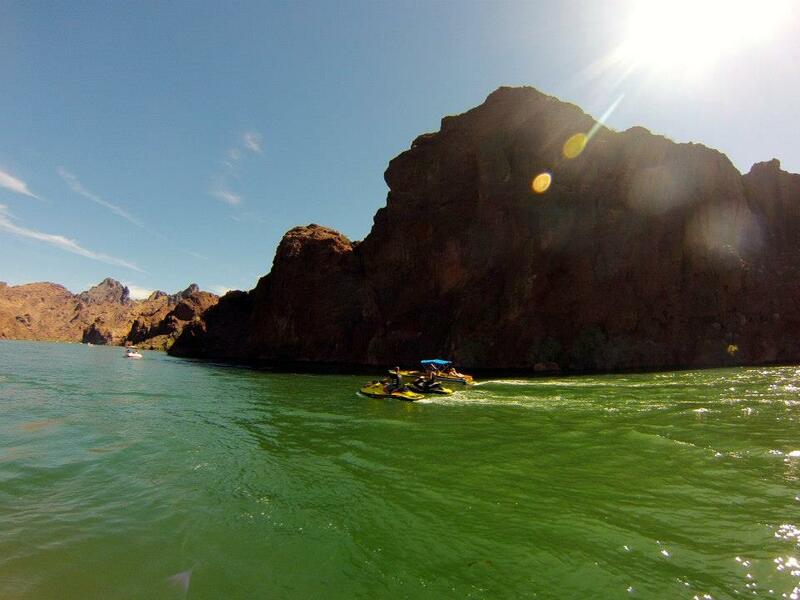 The crown jewel of California, and the tri-state region of Nevada an Arizona, is the Colorado River. 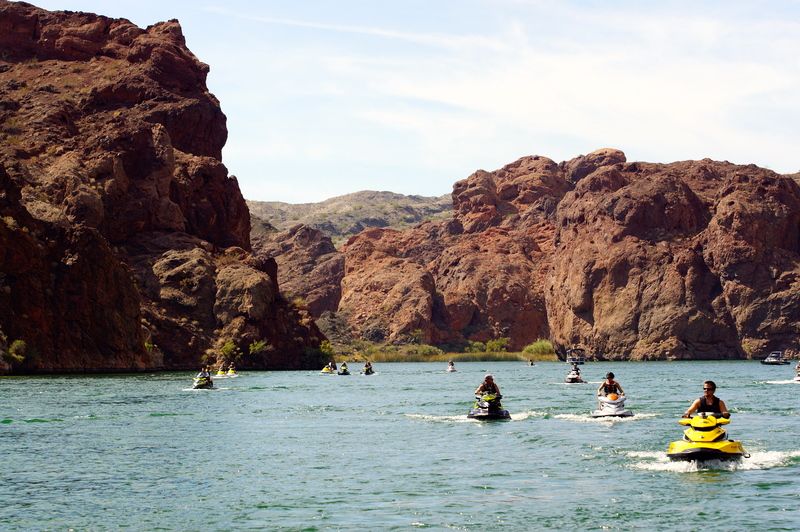 This 233-mile stretch of the Colorado River is a year-round recreation area popular with powerboaters, paddlers, wakeboarders, waterskiers and for overall family fun. The Colorado River also feeds into Lake Havasu in Arizona; a 45-mile long lake nestled along the foot of California’s Chemeheuvi Mountains. 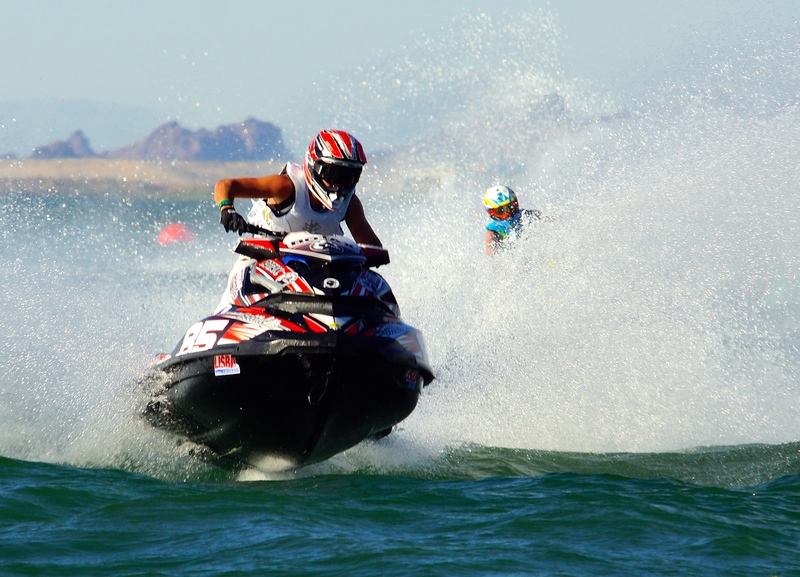 Lake Havasu has 450 miles of scenic shoreline and its deep waters are the perfect playground for watersports including wakeboarding, speed boating, jet skiing, swimming, fishing and boating in your Sea-Doo boat or PWC. Visitors to Los Angeles enjoy sunshine, 75 degrees, ocean breezes and a bustling metropolis. Los Angeles is surrounded by lakes and water which provide boaters with a wide variety of activities to choose from including sailing, jet skiing, surfing, boating, camping, fishing…the opportunities are endless! The most popular location in Los Angeles for boating is Marina del Rey, the largest manmade small boat harbor in the world. 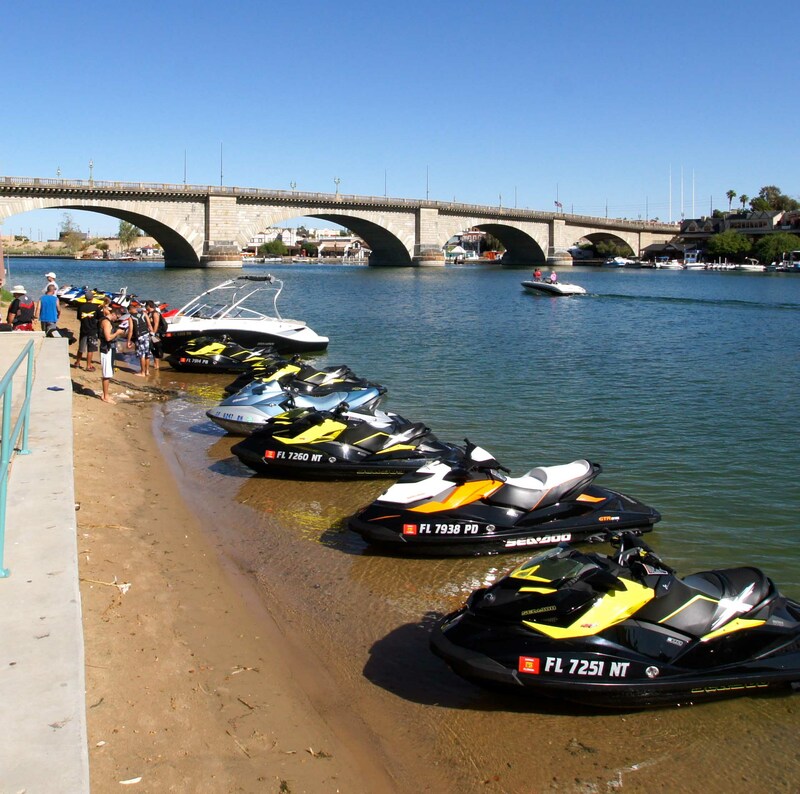 Marina del Ray’s recreation boating area offers approx. 5,300 small boat slips. 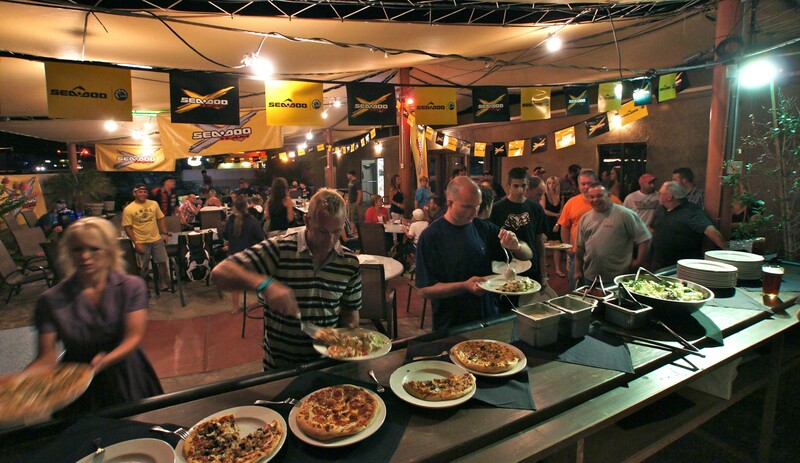 It is the home to multiple yacht clubs, charter companies, and boat facilities, as well as a popular public beach. Visitors by boat can take advantage of overnight and four-hour guest docks, in addition to a public boat launch ramp. Long Beach offers boaters an excellent departure point to sail, boat or ride your PWC over to Catalina Island. Located just 22 miles off of the coast of Southern California, Catalina Island is a popular destination for all types of boaters. Take a day trip, or stay overnight on the island. Choose from the city of Avalon or the town of Two Harbors, or any of the small coves in between. There are more than 700 moorings located around the island, so there truly is something for everyone. An hour south of LA is the Newport Beach Harbor with seven islands and unending possibilities for a day out on the water. Balboa Island is the gem of Newport Beach that offers excellent boating conditions and is an exciting tourist destination as well. For lake or river boating, whether power or sail, things can get pretty crowded, but there’s a lot to see and do. To the east, Big Bear Lake in the San Bernardino National Forest is a well-known natural mountain lake near L.A., and is popular for a wide range of recreational uses and offer visitors with a quaint mountain town for after-water activities. Los Angles has plenty of activities and numerous locations for boating. Before heading to a lake or destination in Los Angeles, do your homework! Due to the popularity of most lakes many of them are crowded and limit boat and PWC launches to ease overcrowding. If you are ever in Los Angeles in February, don’t miss the opportunity to experience the Los Angeles Boat Show! Boat show dates for 2011 are Feb. 9-12. 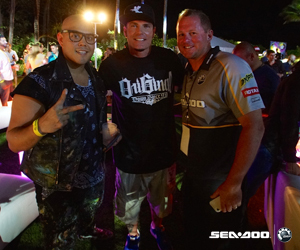 Stop by and say hello to Sea-Doo if you are at the show. San Diego offers visitors 27 miles of waterfront parks, restaurants, marinas, shopping centers and cultural activities. The waterfront is continually bustling with activities. The Bay of San Diego offers more than 60 waterfront restaurants and the Port of San Diego encourages boaters to utilize the “Dock and Dine” facilities located all around the bay. 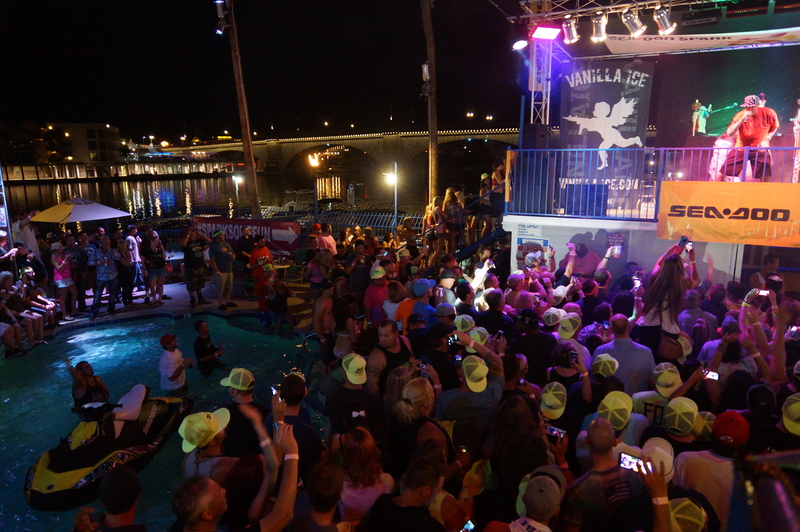 There are 14 “Dock and Dine” facilities located on San Diego Bay. The Port of San Diego also offers a Boaters Guide that includes rules and regulations, dock and marina locations and helpful tips for boaters. The San Diego coastline is home to some of Southern California’s finest beaches and watersport opportunities. The waterfront offers an inviting atmosphere, where visitors can stroll, bike ride, or roller blade leisurely along the coastline. Mission Bay Park, is the largest aquatic marine park of its kind. 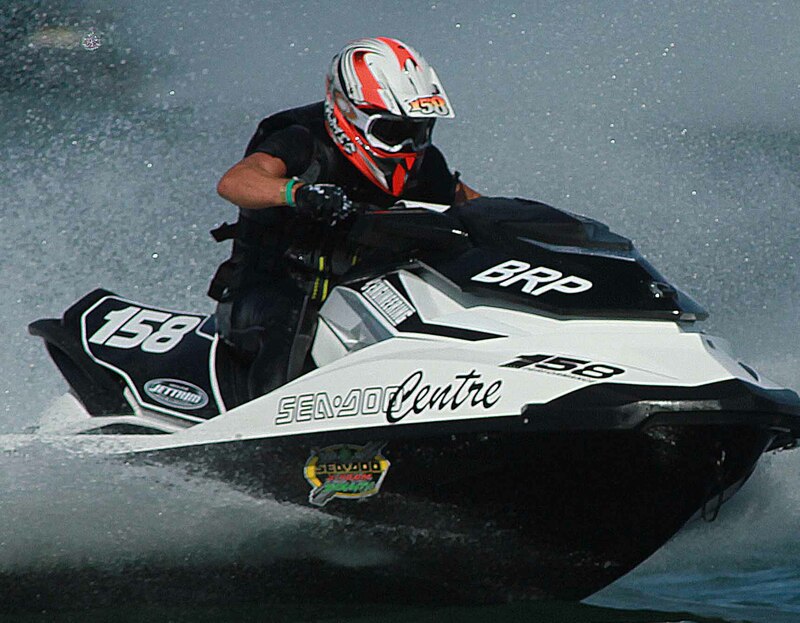 It is host to many aquatic activities such as fishing, bird watching, sailing, jet skiing and boating. Mission Bay is comprised of a network of waterways, inlets and islands and the best way to explore Mission Bay is by boat. Most of its 27 miles of shoreline are sandy beaches, with the remainder devoted to marinas and resorts. 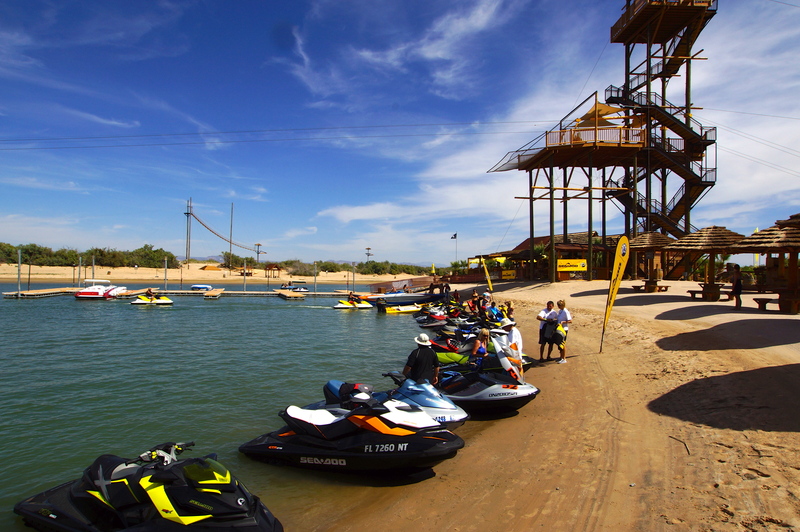 As you travel up the coast from San Diego, one of first stops Sea-Doo boat and PWC enthusiasts will want to make is in Carlsbad at the Aqua Hedionda Lagoon. 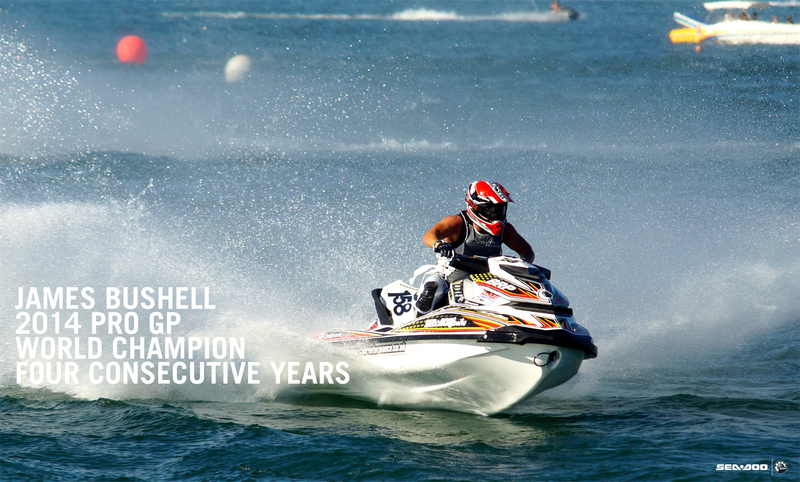 This 66- acre outdoor lagoon, adjacent to the Pacific Ocean, provides the optimal southern California location for Sea-Doo boating, PWC riding, wakeboarding, water skiing and other family watersport activities. The southern California coastline offers hidden gems as you travel up toward the Los Angeles area. Oceanside is a quaint ocean town that boasts numerous small harbors perfect for launching into the Pacific Ocean. California also offers many inland lakes such as Lake Perris, Lake Elsinore, Diamond Valley Lake and many more.